A bright, airy meeting room with views of Canada Water plaza. Meeting room 1 has an interactive white board and laptop that can be connected for projection. A flipchart is available to hire at additional cost. Can be combined with meeting room 2 to give a capacity of up to 50 people. 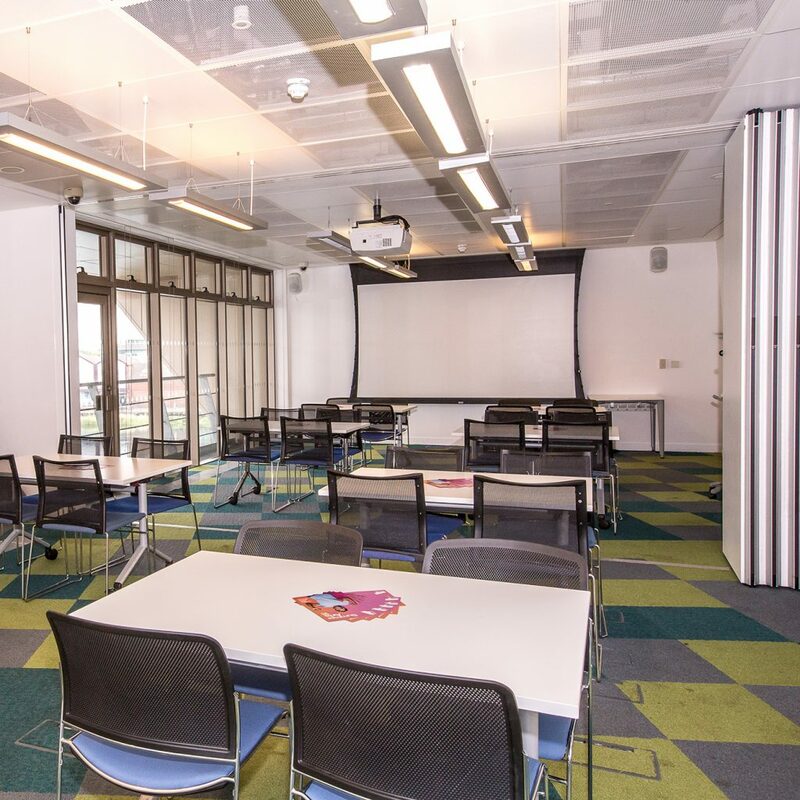 Top image shows Meeting Room 1 at Canada Water Library. Photo Roswitha Chesher.